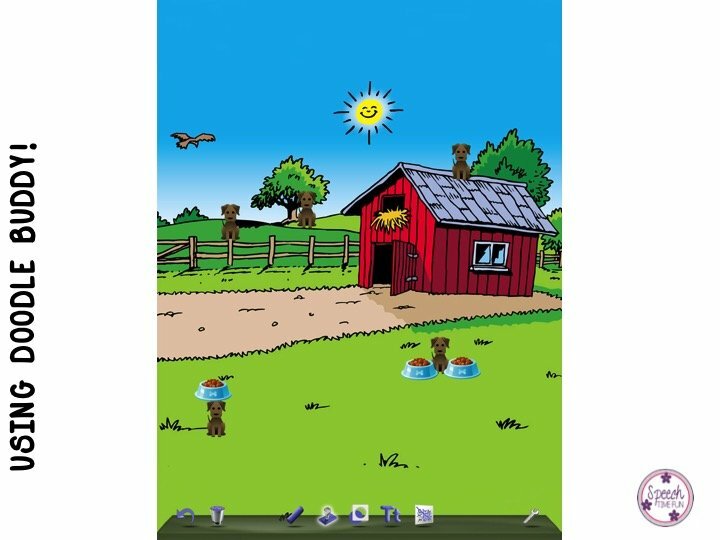 Are you looking for new ways to incorporate the use of the iPad in your therapy room? Do you want an app that is FREE and you can use TONS of ways?! 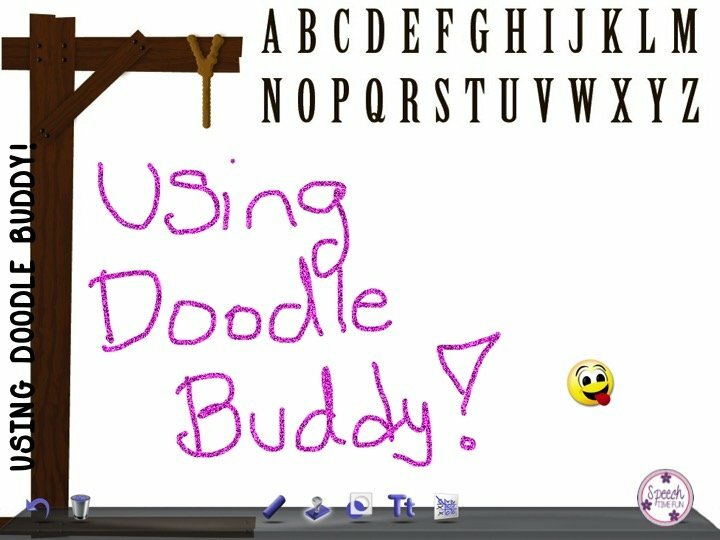 Introducing a fun free app you can use in speech: Doodle Buddy! Ok, let’s back track. What is this app and why is it so great (other than the price)? 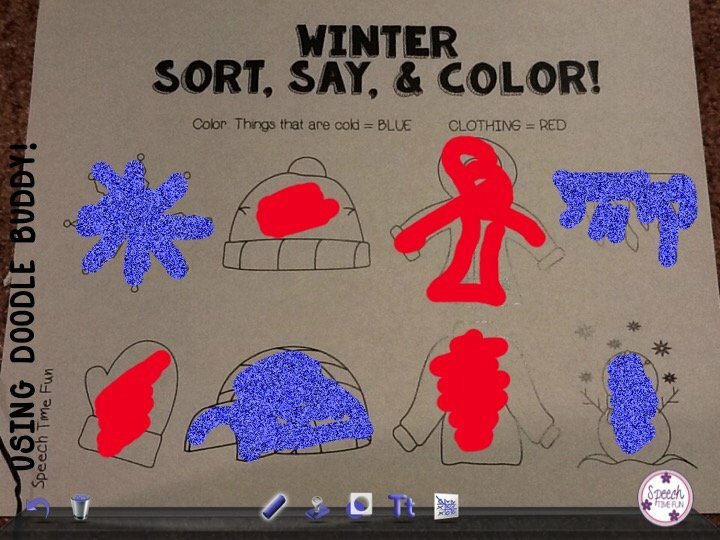 This app can be used to draw, write, create, play, enhance and more. This app comes with different color “pens” or other tip types. 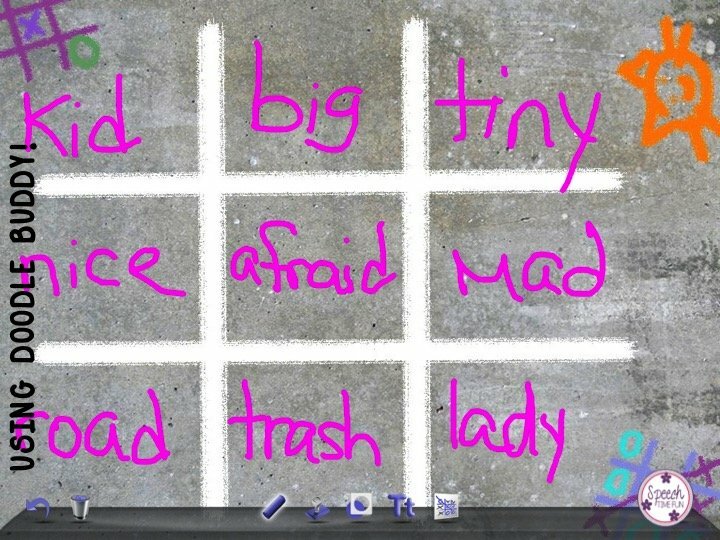 You can use the different backgrounds that come with the app (tic-tac-toe and scenes). You can also take pictures in the app or upload images saved on your device! 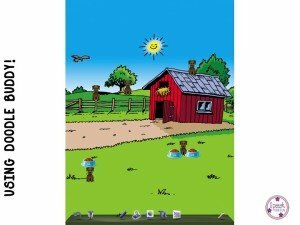 You can write, stamp, and draw on the various images and scenes! Want to quickly erase and start over, just shake the iPad! Do you already sense that awesomeness and possibilities?! 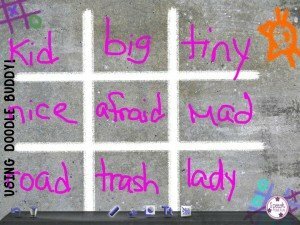 Tic-Tac-Toe: You can quickly write in vocabulary or articulation words and then play! 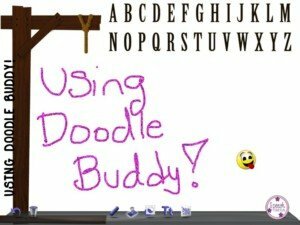 Your students can even write the words! 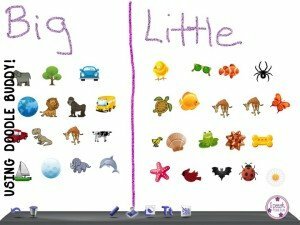 Sorting activities: I used the stamps and sorted them by big/little and then different adjectives. 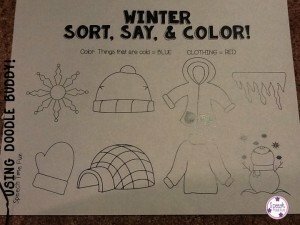 You can just create a chart and have students complete it. 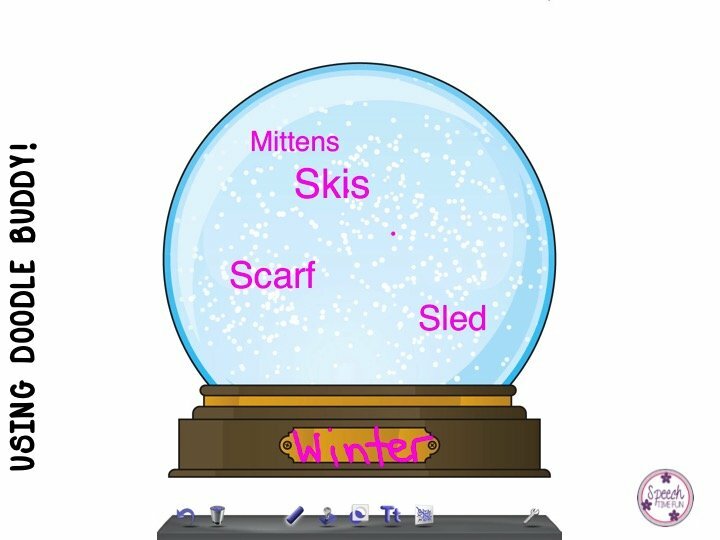 You can even quickly draw a graphic organizer like a Venn Diagram! 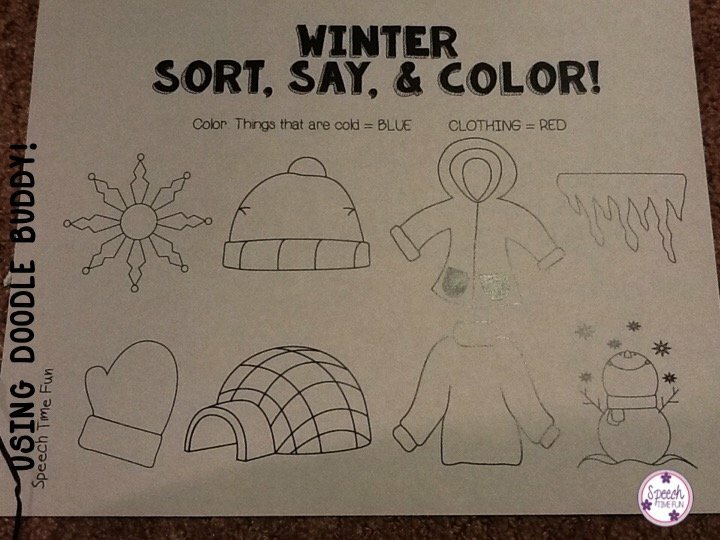 Following Directions and using Prepositions: I used the various scenes, quickly added stamps that would elicit different prepositions. 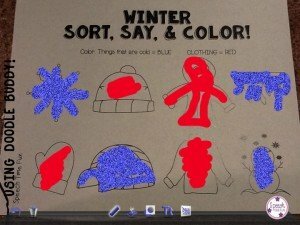 I had my students verbally express where the different items were in the picture. 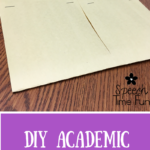 You can also give your students the directions to place the stamps themselves. 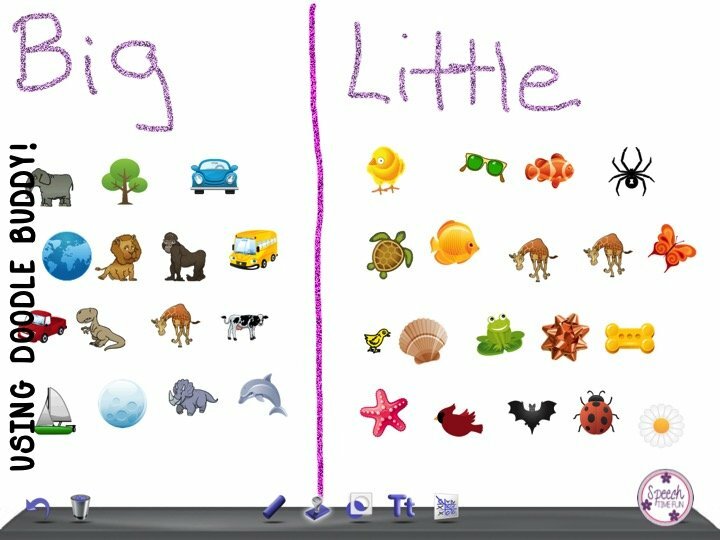 Describing/Categorization: There are so many images already in the app that you can use! I had fun with my students coming up with winter words to put in the snow globe. No photocopies? No problem! 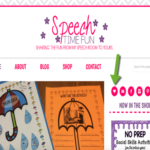 Just screen shot any no prep activity! 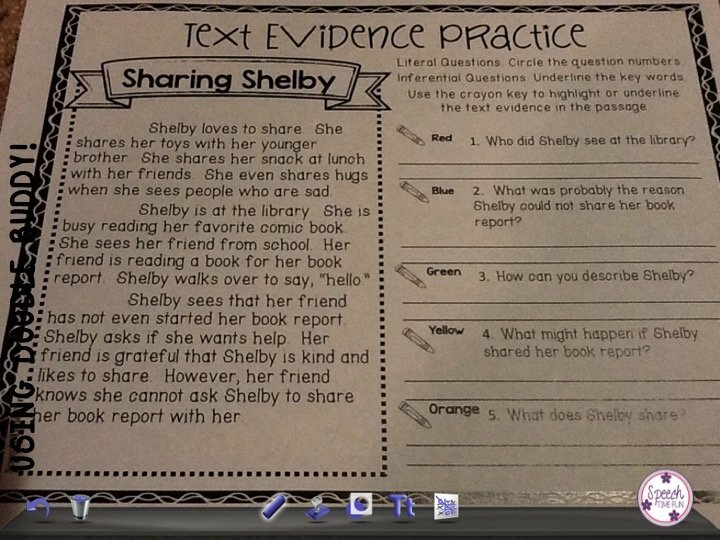 Students can complete the tasks right on the iPad! 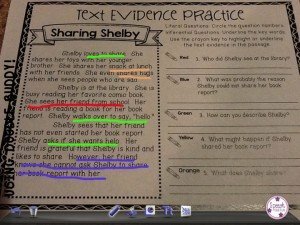 Here you can see my students using my Sort, Say & Color by Category and Text Evidence Print and Go Worksheets! Want even more ideas?! 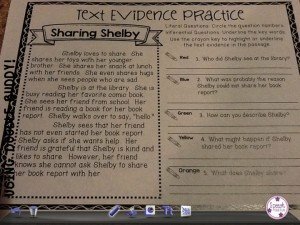 You can work on text evidence! 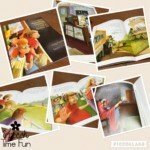 Take a picture of a storybook or text worksheet. 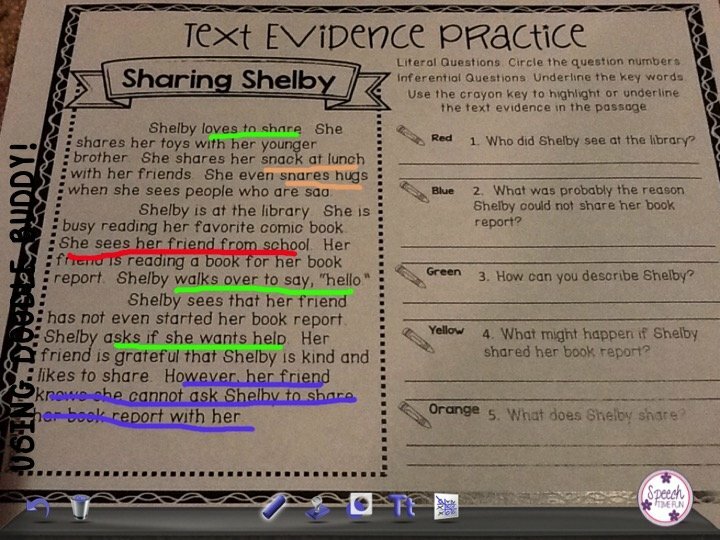 Students can highlight/underline using the app the evidence in the story used to answer questions! The possibilities with this free app are endless! I can tell more and more but don’t you want to check it out already for yourself?! I just love how this app is so easy and quick to use! It took no time for me to locate the different options and figure out how to use it. 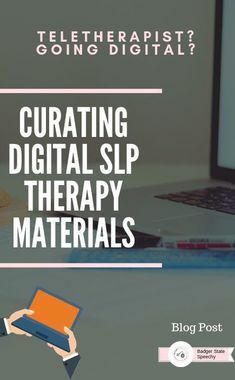 Want to learn about another app you can use in your therapy room? 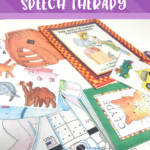 Check out this post about Speecharoo! 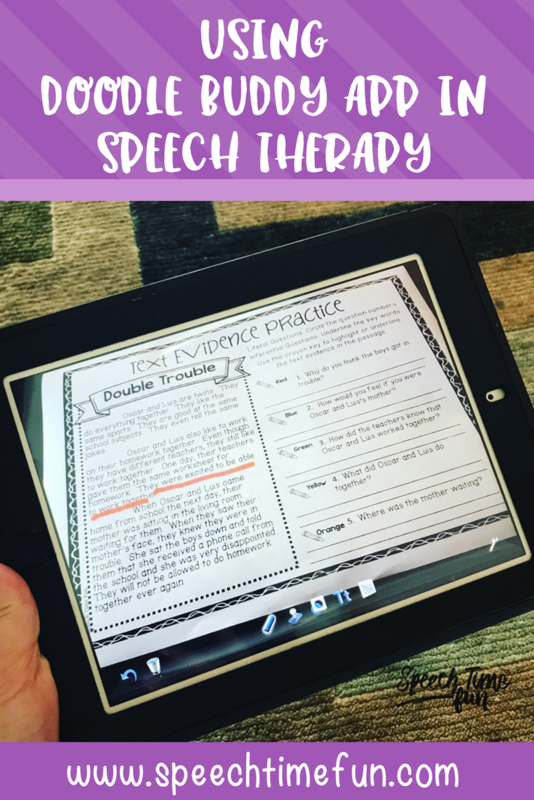 Click HERE to see my entire round up of free apps to use in speech! Why I Love Bloglovin and You Should Too!